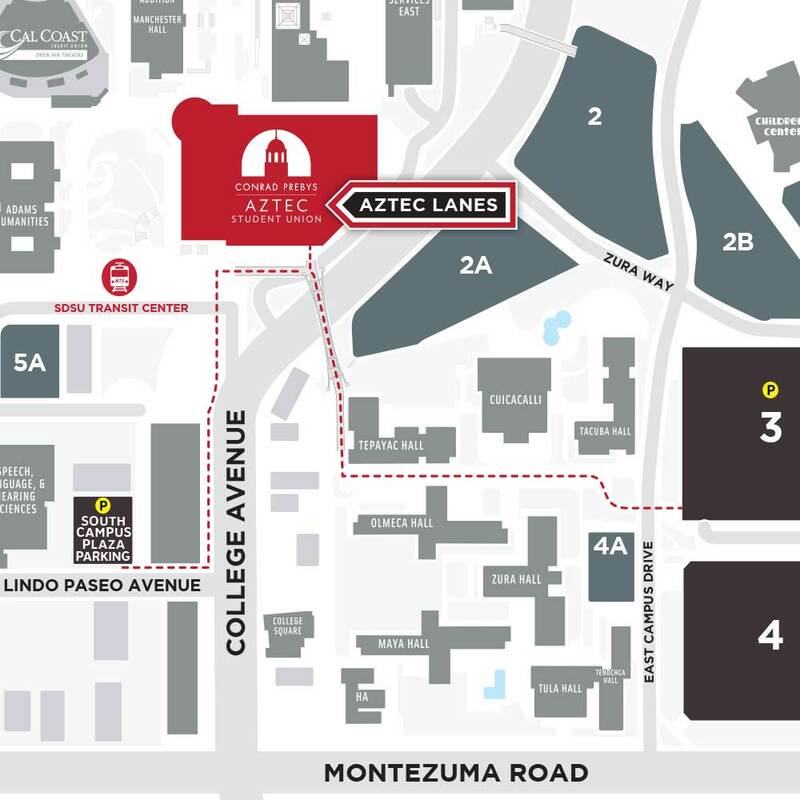 Aztec Lanes is located on the first floor of the Conrad Prebys Aztec Student Union, which will be on your right. Aztec Lanes is immediately on your right after passing Oggi’s Pizza Express. Turn Right onto Lindo Paseo. Turn right into the parking structure after passing Trader Joe's. One Hour FREE with Aztec Lanes validation and $1 every 15 minutes or $4 per hour after the first hour. Please bring parking ticket with you for validation. Exit the parking structure and walk south toward Lindo Paseo. Turn left towards Trader Joe's and turn left to walk along College Avenue to head north. You will see the Conrad Prebys Aztec Student Union ahead. Walk up the ramp towards the footbridge and turn left. Aztec Lanes is immediately on your right after passing Oggi's Pizza Express.